About Us | Radcliffe Design Associates Inc. 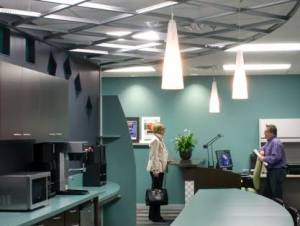 Founded in 1990 in Toronto, Radcliffe Design Associates Inc. (RDA) is a full-service, professional interior design firm with extensive experience in corporate, government and institutional space planning, design and project coordination. We focus on understanding and providing for the unique needs of our clients and those responsible for the preparation of long-range strategic planning, budget parameters and building maintenance. Our strength lies in our care and consideration for the people we design for, coupled with our creativity and technical knowledge of building codes, construction and furniture design. 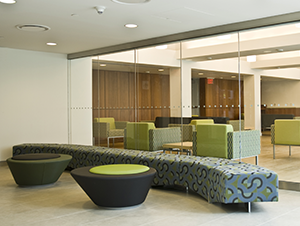 RDA’s expertise includes gathering data, analyzing user needs, and providing creative and well-designed interiors through space planning, comprehensive material and finishes specifications, and furniture programming. We work closely with the end-user and project management teams at all stages of the project, ensuring mutual understanding, agreement and satisfaction with the design process and solution. As a professional consulting firm, RDA plays a pivotal role in assisting the client to define suitable accommodation strategies and solutions, and is an essential asset to the project’s management team throughout the duration of each and every assignment. We believe that a strong, collaborative team effort provides a synergy in which the sum is bigger than its parts. 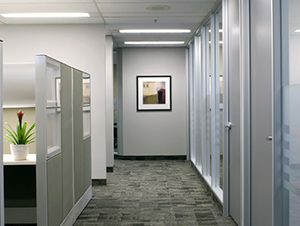 Our mandate is to provide our clients with the best design solutions, in a unique and friendly environment, on time and on budget.